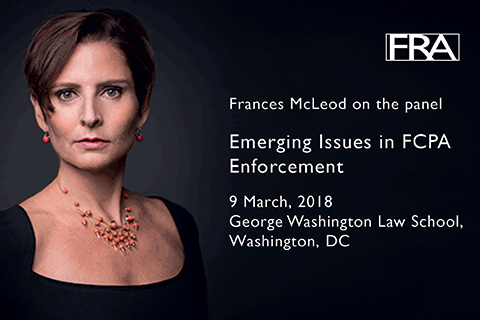 One of FRA’s Founding Partner’s, Frances McLeod, will be on the panel on 9 march at an upcoming FCPA conference at The George Washington Law School discussing Emerging Issues in FCPA Enforcement. Frances will be on the panel titled Working Effectively with Forensic Accountants. This one-day conference will address cutting-edge FCPA issues, including the emerging legal issues in multi-jurisdictional enforcement actions, improving efficiency and cutting costs in internal investigations, qualifying for benefits under the new DOJ corporate enforcement policy, and working effectively with forensic accountants.